Did you know that doctors in Europe have been performing in-office hysteroscopy surgery for years? However, here in the U.S, this is a much fresher concept. This isn’t surprising when you consider that most surgeons are taught to perform their procedures in the operating room. Therefore, most patients aren’t familiar with in-office surgery. This may be one of the reasons why doctors haven’t pushed for this procedure until recently. Let’s delve more into how this procedure works and how you can incorporate it into your practice. When Would a Patient Need This Procedure? This surgery aims to insert a small-diameter device into the patient’s uterus. This tiny light and camera allow a doctor to see inside the uterus so they can make the correct diagnosis. Although this is a routine surgery, your patients will probably feel a little apprehensive. So be sure to make time to reassure them if they appear worried. If they’ve done any research, they’ll know that most surgeons offer their patients a dedicated exam room, and inside there’s usually a table with stirrups attached, a portable light, and video equipment. As you already know, these three features are the three primary requirements for carrying out this procedure. So make sure you’ve sourced them so you’re up, running, and ready to go! How Do I Prepare My Patient Room? You want to try and make the patient feel as relaxed as possible because they’re probably concerned about the surgery. We also suggest swotting up on the “vocal local” approach. This involves directly speaking to the patient during the procedure, so they feel reassured. This has proven useful when it comes to reducing anxiety. In addition to that, you should outline everything the patient will see and feel before, during, and after the operation. Focusing on these details are of paramount importance for building trust with her. How Else Can I Prepare? 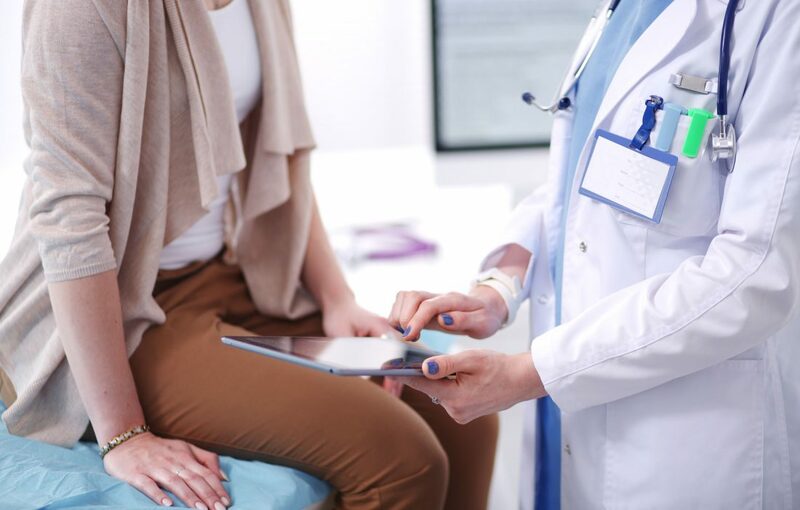 You should always have checklists and drills in place for undertaking any form or surgery, so a hysteroscopy isn’t any different. Using the structure above make sure you go through this list and tick off each stage as you do it. This is a simple way of keeping yourself accountable as you undertake this procedure. What Literature Should I Refer To? If you’re in the process of transitioning your office to make it suitable to conduct in-house hysteroscopies, then you should consult outpatient surgery guidelines from reputable associations. For example, ACOG SCOPE, offers an excellent Voluntary Review of Quality of Care (VRQC) & Safety Certification in Outpatient Practice Excellence (SCOPE) for Women’s Health. In addition, both the American College of Surgeons and the Joint Commission have some fabulous resources. We also recommend you contact any state regulatory agencies that could affect your practice and your professional liability insurance company. Taking these precautions helps to ensure you have all relevant information available to you. There’s so much information and support out there, so there’s no need to feel overwhelmed about setting up your patient room and conducting your first few ops. What Are the Benefits of Performing Hysteroscopy Surgery in the Office? However, you can reassure your patients that the likelihood of them experiencing these severe side effects is minimal. Are You Considering Offering Hysteroscopy Surgery In-Office? If you have any questions regarding how to safely and comfortably position your patients for in-office lithotomy procedures please feel free to reach out to us. One of our professional team members will be more than happy to help you out. Alternatively, please feel free to check out our shop to see how we can help you get your surgery up and running to offer this procedure.